is the father of two children, Makonnen and Addis. He was born in Jamaica, and educated there and in New York. His most recent book is the poetry collection Providential (2015), which Eileen Myles describes as "one of the most lucid and telling poetry books of this exact time." Other work includes the novella The Girl With the Golden Shoes (2007) — "a nearly perfect moral fable" in the words of Russell Banks — and the national bestselling novel Waiting in Vain, a Critic’s Choice Selection of the Washington Post, which hails it as "a clear redefinition of the Caribbean novel — in which the discourses of post-colonialism have been usurped by the creative assurance of reggae's aesthetic ..." Colin is the editor of the fiction anthologies Iron Balloons (2006) and Kingston Noir (2012), and coeditor of the poetry anthology So Much Things to Say (2010). So Much Things to Say gathers work from a hundred poets who read at the Calabash International Literary Festival in Treasure Beach, Jamaica, between 2001 and 2010. Colin founded the not-for-profit Calabash Trust with Kwame Dawes and Justine Henzell in 2000. As artistic director and board chairman for the first ten years, Colin led the organization’s rise in world stature and local relevance by offering first-tier writing workshops, publishing seminars, film screenings, live music and readings by some of the planet's most accomplished authors at no charge. Britain's Independent describes the Calabash International Literary Festival as "a high-grade international event in which writing from the Americas, Europe, Africa, and Asia forms a thought-provoking mosaic of story, history and mythology." The Associated Press calls Calabash "one of the most vibrant literary festivals to come around in a long time." 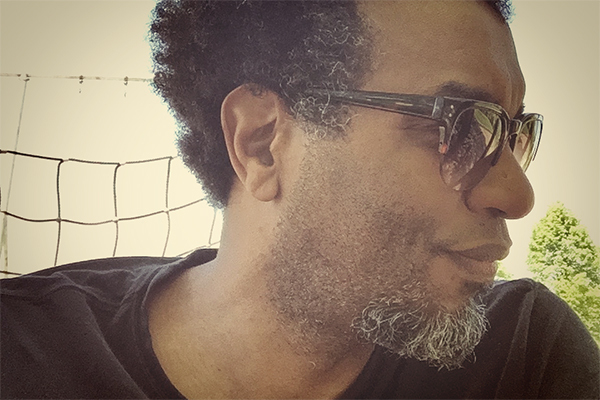 Colin Channer’s poems and essays have appeared in Prairie Schooner, Harvard Review, The Common, The Wolf, Black Renaissance Noire, the New York Times, the Wall Street Journal and other venues. His story "How to Beat a Child the Right and Proper Way" — "something of a tour de force, spoken in different registers of Jamaican English" in the words of the New York Times — has been mounted as a monologue at Joe’s Pub at the Public Theater (2007) and other venues. Colin’s honors include fellowships in poetry and fiction from the Rhode Island State Council on the Arts (2014 & 2015) and a Silver Musgrave Medal in Literature from the Jamaican government (2010). He has served as Newhouse Professor in Creative Writing at Wellesley College, Fannie Hurst Writer in Residence at Brandeis University and Visiting Artist in Residence at Columbia College Chicago. He once played bass in a reggae band.